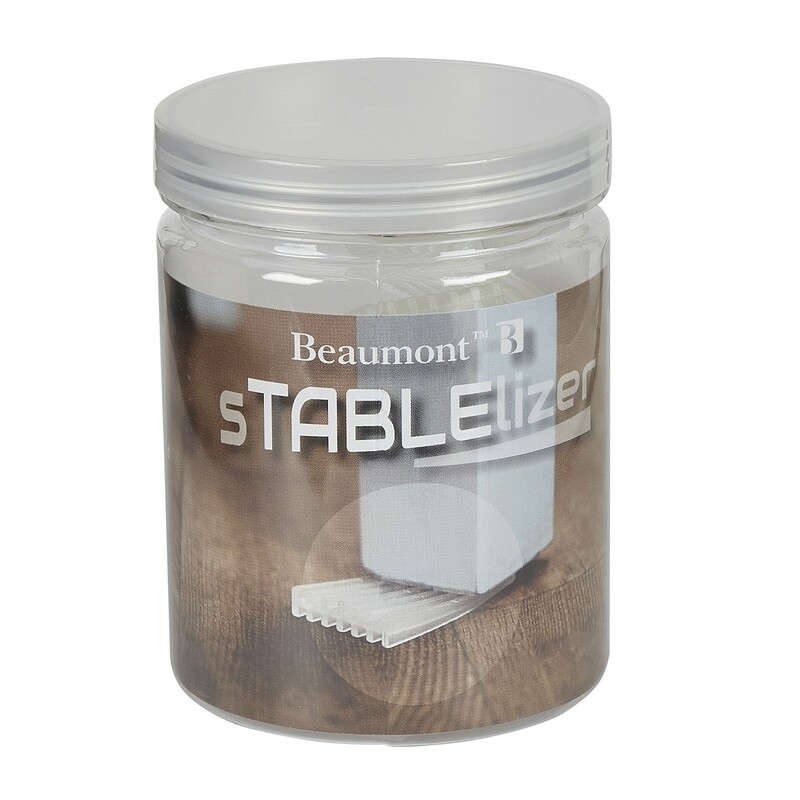 These sTABLElizer's are a novel idea to stop those annoying wobbly tables and eliminate unwanted table movement. They minimise spillages and have a textured design to grip both the floor and the table leg. The pvc piece can be doubled to fill larger gaps. 25 pieces per tub. Looking to buy some Tables? If you would like some advice on purchasing Tables, simply contact our expert sales team, giving us either an email or phone number on which to contact you and we'll get back to you with the best advice or contact us by email: [email protected] Phone: 020 8424 8886.